While native to Europe, Asia and regions of Africa, Caraway, is cultivated in many parts of the world. The fruit and seed of the caraway plant are used to prepare medicinal remedies. The primary active constituent in caraway is volatile oil (4-6 on average), which itself is made up of carvone and limonene. 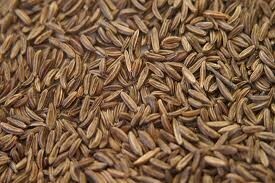 The fruit of the caraway plant contains fixed oil along with carbohydrate and protein.